2) Select the serial port. 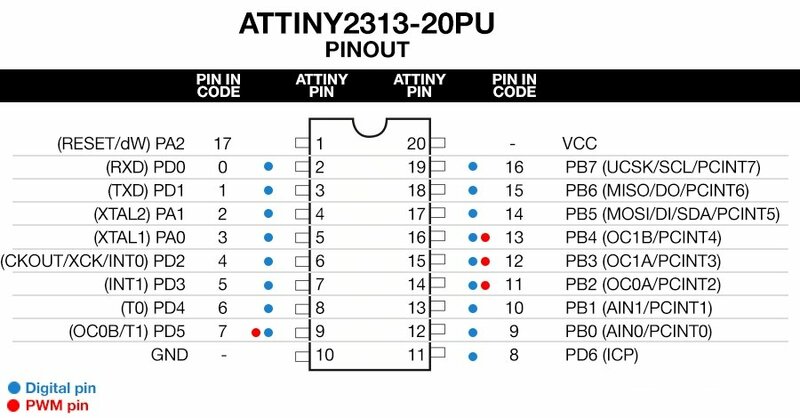 2) Select the required Arduino board, in this case we are using an Arduino Uno. 3) Set the programmer type as AVRISP MKII. 4) Press the upload button. 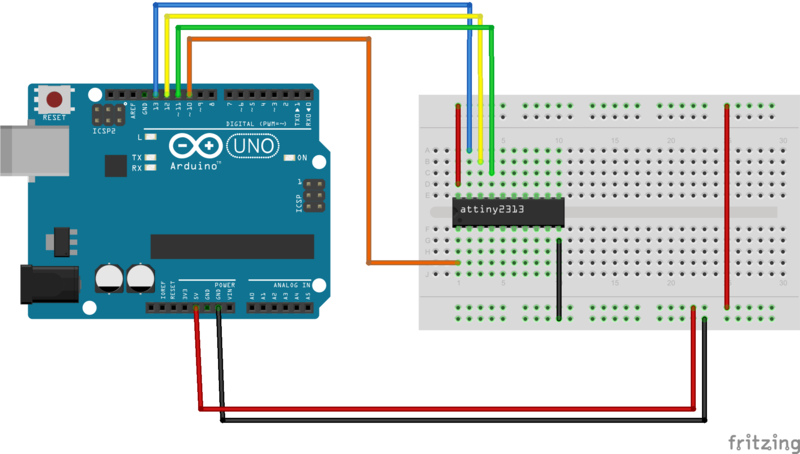 5) Now your Arduino Uno is setup as the ISP programmer. Next open up the LED Blink sketch. 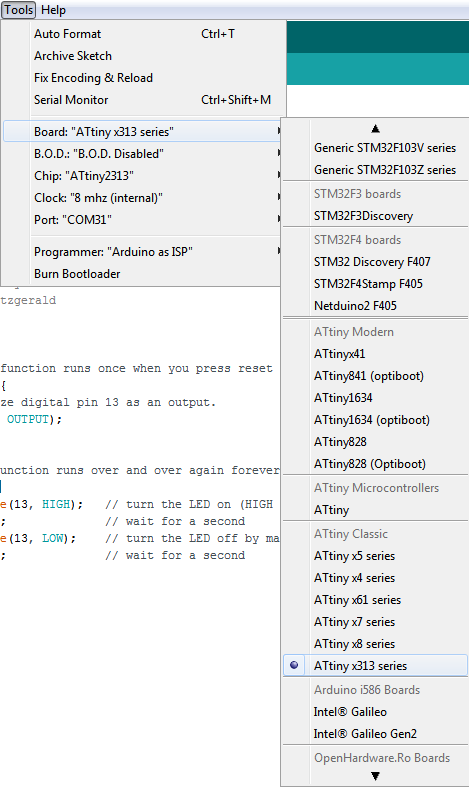 6) Select the AVR target for the Arduino ISP to program to. 7) Change the Board for the Arduino ISP to program to. 8) Make sure the Clock for the Arduino ISP is set to 8Mhz. 9) Set the programmer mode.